Former track and field star Ashwini Nachappa, who is also president of Clean Sports of India (CSI), has written a letter to Prime Minister Narendra Modi seeking a special investigation into the increasing drug abuse in sports in the country. The letter states, "An expose by a reputed news channel on the state of doping among our elite athletes at premier sports training centre in collusion with top officials has brought to the fore the doping menace in Indian Sport and how sport is being managed in our country." 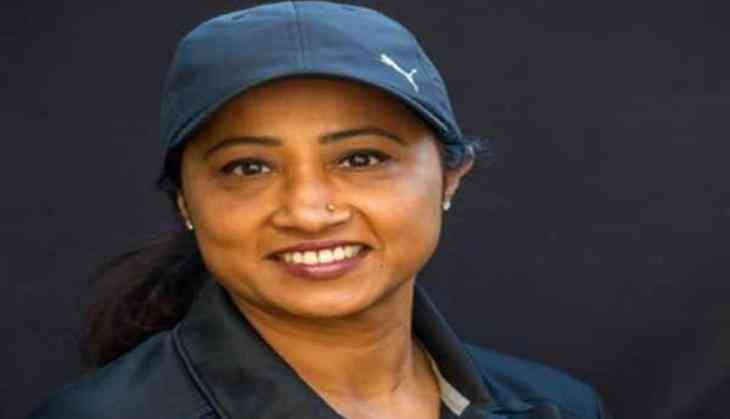 Deeply saddened by the constant rise in doping cases, Nachappa, who is also a vice-president of Karnataka Athletics Association (KAA), further revealed that some of India's most prominent sports officials were caught in camera engaging in corrupt activities. "Caught on spy cam were some of India's most prominent officials managing sport such as Adil Sumariwalla, President Athletics Federation of India, Heads of Selection Committee besides other federation officials. President, AFI categorically mentions that the test sample of the athletes are replaceable at a cost of anywhere between Rs. 50,000 to Rs. 5 Lakhs. Also caught on camera was one of India's top athletes Narasingh Yadav who detailed and exposed the depressing doping scenario which is rampant amongst our athletes, categorically mentioned that Lalith Bhanot, the accused of the CWG scam is the mastermind. It is truly a sad comment on India that such a travesty can continue," she elaborated in her letter to PM Modi. However, Nachappa revealed that the World Anti-Doping Agency (WADA) had reacted positively to the matter and are all set to start an investigation into the same. She further requested PM Modi that he, on his part, should also investigate these serious allegations and take subsequent action against the wrongdoers. "In the meanwhile, WADA, World Body on Sports Drug Control, has reacted positively to the expose and congratulated the channel . They are also keen on partnering with the channel to know more on the expose and planning to do an investigation. It will show badly of our nation, if international investigations starts and we do nothing about these allegations," she said. "India winning more medals in the 2024 and 2028 Olympics would only provide more impetus to doping. Hence Clean Sports India appeals to the Hon'ble Prime Minister to investigate these serious allegations and action taken on all those involved in encouraging the use of drugs in sports," she concluded. Earlier this month, it was reported that more than 850 Indian athletes have succumbed to doping charges since 2009, according to an Anti-Doping Rules Violation (ARDV) report recently published by the National Anti-Doping Agency (NADA). The shocking revelation came after Indian shot-putter Manpreet Kaur was provisionally suspended after being tested positive for banned stimulant DMBA dimethylbutylamine. In another most recent case, Indian weightlifter Sushila Panwar was also suspended provisionally after her `A` sample was found to be positive for a banned substance in April. Meanwhile, Arjuna Awardee footballer Subrata Paul was also tested positive for a banned steroid. Subrata failed a dope test conducted by the NADA in Mumbai when the Indian men's football team was going to Cambodia for a friendly match in February. Indian wrestler Narsingh Yadav, who was handed a four-year ban ahead of the Rio Olympics for failing two dope tests, was another notable case. He was tested positive for banned anabolic steroid Methandienone. In April 2015, 21 weightlifters were provisionally suspended by the Indian Weightlifting Federation after they failed doping test across different championships.